Need extra storage capacity and live video/audio streaming for your tablet or smartphone? 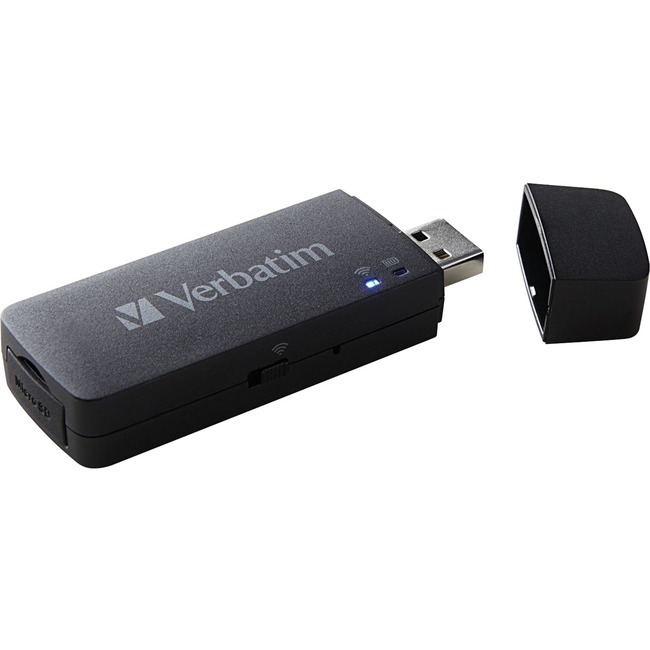 Verbatim's new MediaShare Wireless Mini Streaming Device, allows you to stream media to your tablet/smartphone or PC from microSD cards (media not included) via a secure, wireless connection. Even better, up to 5 users can access and share stored content simultaneously using the mobile app (available for iOS and Android). The MediaShare Wireless Mini has a built-in rechargeable battery, with a battery life of up to 3 hours. To recharge, simply connect the device to any available USB port on your computer or a USB wall charger. The MediaShare Wireless Mini is the perfect solution for wireless media streaming for anyone on the go. PC access to card content via WEB GUI or direct USB connection.